I know, you’ve heard this from your kooky friends who are always trying something different. You look at your target when you throw something, so why not look at the target when you putt? Answer: because nobody putts that way. Well, let’s give that idea one more look. The “You look at the target when you throw something” argument is a good start, but it doesn’t go far enough. When you’re looking at the target, you brain is in constant contact with the target, and giving your body constant, up-to-date instructions on what to do to hit the target. Try this. Put a wastebasket maybe six feet away from you, wad up a piece of paper, look at the wastebasket and toss the paper inside. Did you get it in? Now toss paper at the wastebasket after you have taken a look then turned your head away so you can’t see the wastebasket. How did you do? I would bet that if you alternated ten times with each method, looking would produce a higher percentage of successes. Can you feel the confidence disappearing when you turn your head? That’s exactly what happens when we look at the ball instead of the hole when we stroke the putt. You might not notice this, but tests have shown you keep your head and body very still when you’re looking at the hole. You’re also less likely to flip the putter—have the left wrist break backwards on the forward stroke, a cardinal error. You will hit short putts with more confidence because you are always in tune with the target. I’m sinking more putts in the 5-8’ range as well. Approach putting? You’re going to get a much better feel for distance this way, especially if you’re using the TAP method [link]. 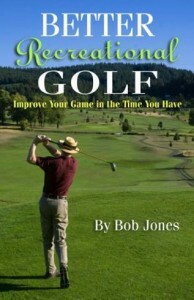 Your mental computer is feeding you continuous up-to-date instructions, like I said before, taking much of the guess-work out of a 40-foot putt. Now about the stroke. Don’t worry, you won’t whiff. With a little practice, you’ll learn that the putter comes back to the ball on the sweet spot. The club path won’t get wacky on you if you extend your right forefinger down the shaft and pretend it’s a pencil that is drawing a straight line on the ground. This is easier to do with a long putter than with a standard-length putter because you can extend your right arm fully. Search you favorite web browser on this topic. 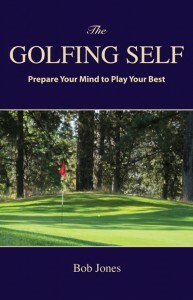 You will find lots of responses, from teaching professionals, who say this method helps you putt better. You won’t find anyone who says it’s for the birds. I don’t put things in these posts I haven’t tried and found to be helpful. Play with this on the practice green of a hour, the play a few rounds looking at the hole when you putt. You have nothing to lose but two-four strokes. September 26 update: It is getting scary how much better this is working for me. 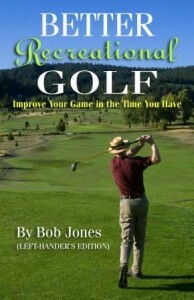 It’s worked fairly well for me the few times I’ve tried it on the practice green, especially on long lag putts. Like many things it works better when you commit to doing it consistently. Jordan Spieth seems to have had a good run with it when he first came on tour, but I think he’s gotten away from it. Perhaps that’s why he’s not putting quite as well this season?